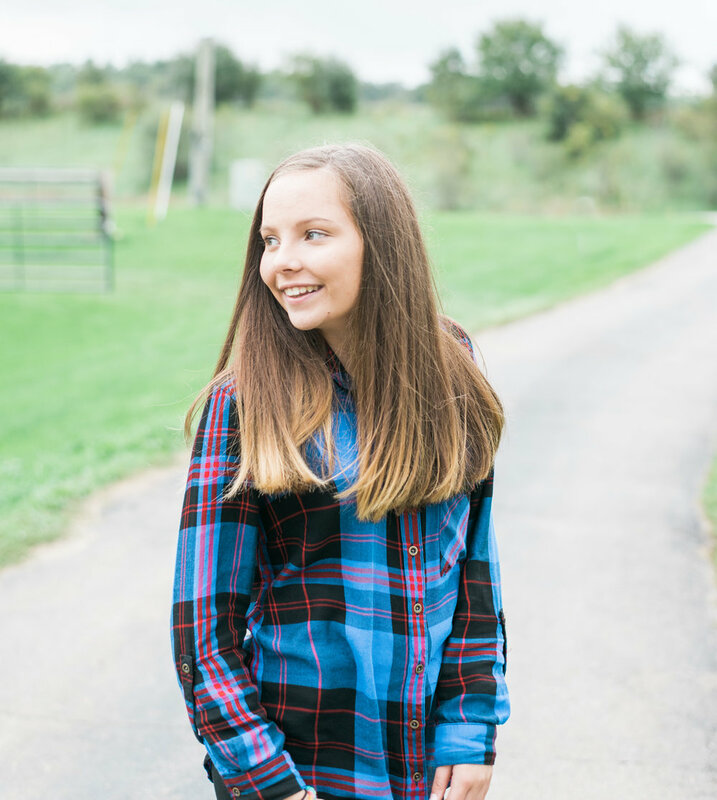 YOU ARE HERE BECAUSE YOU WANT TO REALLY ROCK YOUR FALL SESSION AND HAVE AMAZING PICTURES TO SHARE WITH EVERYONE BUT HOW DO YOU DO THAT? I am going to tell you so don’t be sad! I go into a session with lots of preparation before the day comes. We will begin by working with articles of clothing and accessories that you may already have to keep costs low. I am a huge fan of finding an article of clothing that can be the main focus and working all the other outfits out around that. 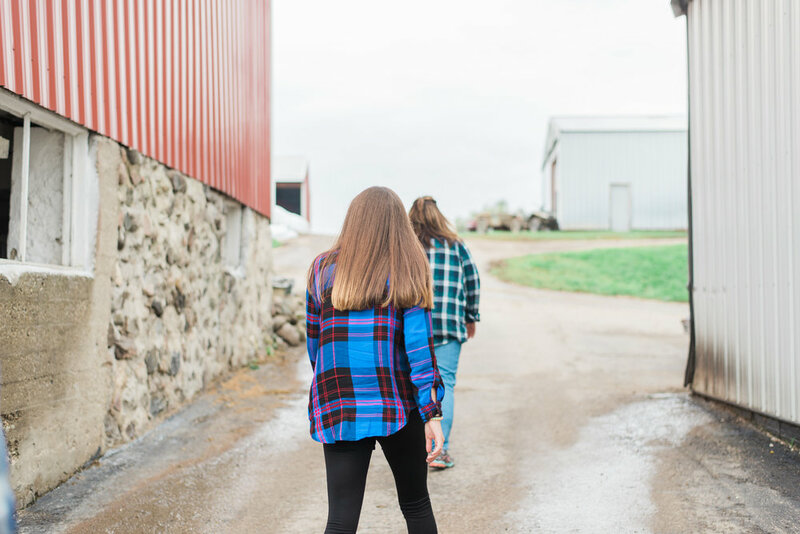 A lot of the times it is easier to stick with a solid piece of clothing and pair a pattern or two on someone else, but if you’re like my family and I and just love flannel – go for it and make it your own! WHERE DO WE GO FOR AWESOME PICTURES AND WILL YOU HELP US FIND THE LOCATION? WELL, YES – I HELP YOU THROUGHOUT THE WHOLE PROCESS! Location has to be another BIG thing when it comes to taking your pictures. You want great pictures, you better look around you and see what you can do with the surroundings. 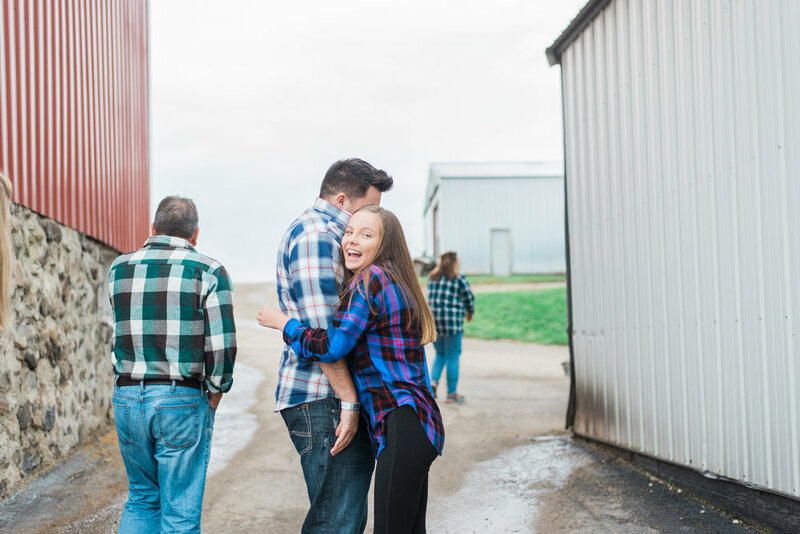 We headed to our local pumpkin farm just to get one, decent family picture for our fall family day – and we got just that! I don’t visit a lot of these places before hand, unless I have had a shoot there before and know what is going on so a lot of it is being able to look at my surroundings and know just where I want you to stand. 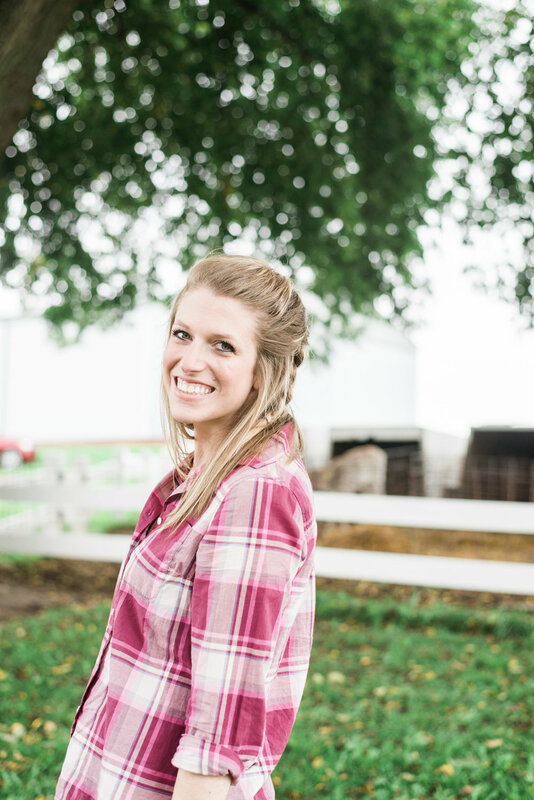 I took a few test shots during the time my family was walking around and nobody see’s the opportunity that I see when it’s overcast and we are standing on a wet, paved driveway between two cow pastures, but you better believe we stood right between all the smells! Haha! Now, if this were a client session I would definitely have made sure they were okay with where we were standing, but it was my family and I made the rules. This location was PERFECT for our large family and the close building gave a sense of security around all of us.